John Aldridge doesn’t think two of Liverpool’s starters from the West Ham draw are good enough for a side with Premier League title ambitions. The former striker has picked out Naby Keita and Adam Lallana for special criticism after the 1-1 – with Manchester City now top of the table on goal difference following our recent slump. “Klopp’s side dropped more points at West Ham, but a bigger issue for me in both games has been the performance or lack of it from Liverpool’s midfielders,” he told Independent.ie. 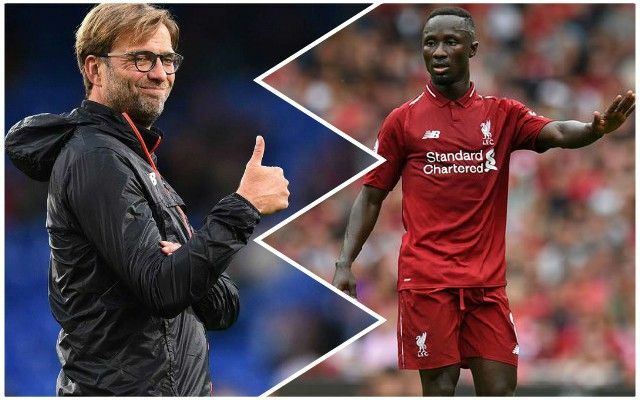 “Adam Lallana and Naby Keita cannot play together in midfield again, as they are just not up to the job for a title-winning team. “My first impressions of Lallana when he came to Liverpool were not positive and while he proved me wrong to an extent with some good performances before his recent injury problems, it looks like he is struggling to get back to those levels once again after so long in the treatment room. We think this is actually a little harsh. Lallana did excellently in the buildup to our first goal and Keita had a very positive second-half. That being said, if everyone was fit, they’d unlikely be in the team right now, with Jordan Henderson and Gini Wijnaldum both battling to get back in time for the clash with Bournemouth at the weekend. If they can, we’d field the duo alongside Fabinho in a central trio – allowing Keita a rest. However, the Guinean has started the past three matches and it could drain his confidence if he’s taken out of the side again, especially after putting in a big second 45 at the London Stadium. It’s a decision for Jurgen Klopp to make of course, with the German also having to consider whether Xherdan Shaqiri deserves a start after a poor run of form himself.